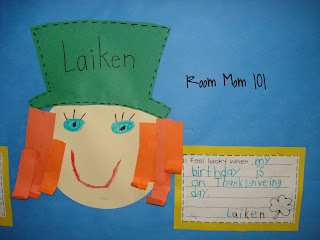 Inspired by the creativity I found out there in blog-land, I decided to add these cute little Leprechauns to my bulletin board. 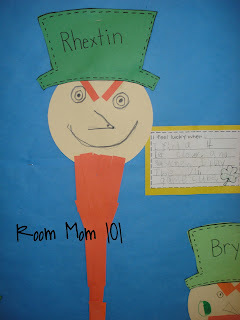 I got such a kick out of this Leprechaun's goatee. Oh and in case you are wondering why he looks mad, I was told because his gold was being stolen. Haha. I guess that would make a Leprechaun mad. I even got some girl Leprechauns. Hey, why not? I have found several teachers who have used this idea so I am not really sure where it first came from. To give credit, I have seen this idea on The First Grade Parade and Erica Bohrer's First Grade. I know that I downloaded the template that says "I feel lucky when" from somewhere, but now I am not sure. If you know, please let me know so that I may link to their blog. Thanks a million for sharing! *Update - Thank you Rachelle for letting me know the other blog I was leaving out. 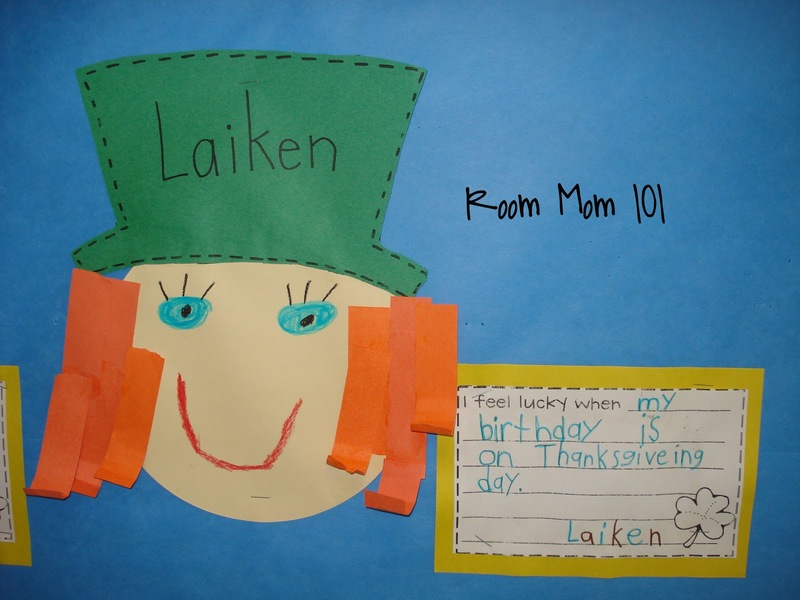 Primary Perspective is where I found this printable "I Feel Lucky When..." Thank you!!! 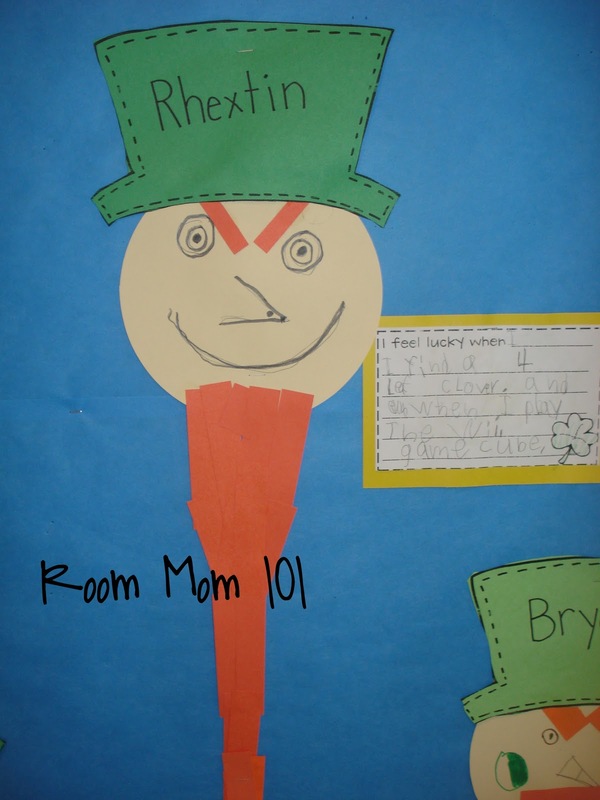 Best Saint Patricks Day Party Games.